Glenn Skeen, 79 of Kingsport, went home to be with the Lord on Tuesday, May 15, 2018 at Wellmont Holston Valley Medical Center following a period of declining health. Born in Lebanon, VA on March 15, 1939, a son of the late Hayder and Daisy Chaffin Skeen, he had resided in this area for the last 38 years after moving from South Carolina. He married Shirley Russell on September 13, 1980 in Lebanon, VA. 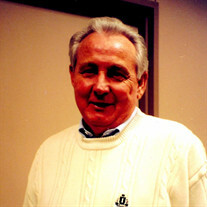 He was a lifelong OTR truck driver having worked for Roy B. Moore Truck Lines. Glenn will be remembered as a loving and devoted husband, dad, papaw, brother and friend who lived the outdoors and sitting on the porch. It was Glenn's wish to be cremated. The family would like to extend a special thank you to Amber, the nurse on the 5th floor ICU at Wellmont Holston Valley Medical Center. In addition to his parents, he was preceded in death by his son, Dennis Skeen; 3 brothers, Bernard, Curtis and Ray; and 2 sisters, Shirley and Elsie. Survivors include his wife of 38 years, Shirley Russell Skeen; son, Daren Skeen of the home; 3 daughters, Wanda, Penny and Tammy; son, Steve Skeen; several grandchildren and great-grandchildren; 3 sisters, Annie, Katherine and Dessie; several nieces and nephews; and special friends, Hagen Bowen and Dewey Starnes. The family will receive friends from 5-7:00 pm on Friday, May 18, 2018 at Hamlett-Dobson Funeral Home, Kingsport. The memorial service will follow at 7:00 pm with Dr. Donnie Brannen officiating. In lieu of flowers, those wishing may make memorial contributions to St. Jude Children's Research Hospital, P.O. Box 1000 Dept 142, Memphis, TN 38101-9908.